Come join us for a night of spoken word poetry, live music and dance at the Kuona Trust Art Center in Nairobi, Kenya on May 9 2015. 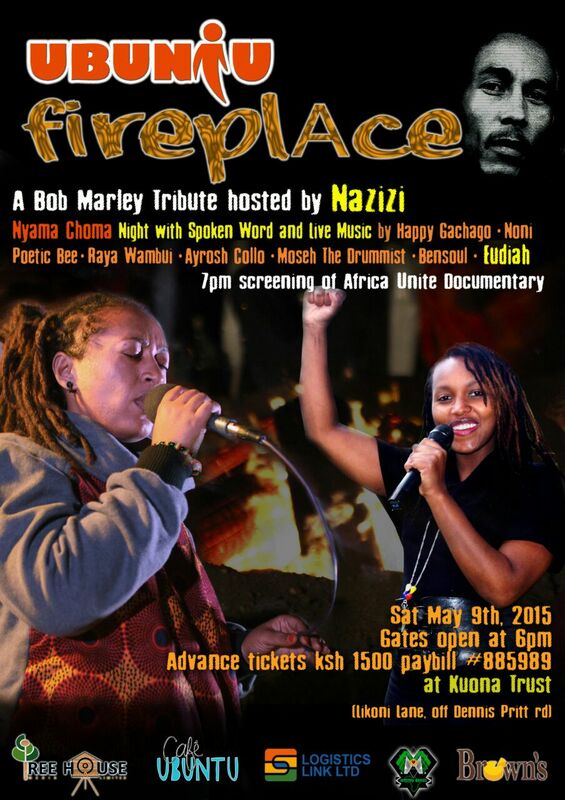 An unforgettable Bob Marley Tribute night with Nazizi, Poetic Bee, Noni, Raya Wambui, Ayrosh Collo, Mose the drumist, Happy Gachago, Lele Band, Bensoul and yours truly Eudiah. You will not only be supporting local talent but also the Malaika KIds with special needs in Maai Mahiu,Kenya. Nurturing kids talent on a Christian foundation. Satuarday (13-11-2010) saw me at Logos Christian School along Arboretum Drive, Nairobi by 9.00 a.m. I was ready to spend sometime with award-winning Sunflower Kids Club, the point being to understand exactly how the kids’ talents are nurtured. The club, an arm of Balozi Productions Limited (an events management and marketing company) was established in 2004 to cater for talented boys and girls between ages 7 and 12. Club members meet every Satuarday at Logos Christian School from 9 a.m. to 12 p.m. for training and rehearsals. Members, through their parents or guardians, pay a fixed amount per term to facilitate this. Based on a Christian foundation, it is no wonder that the bible study class is the very first activity that takes place every Satuarday. 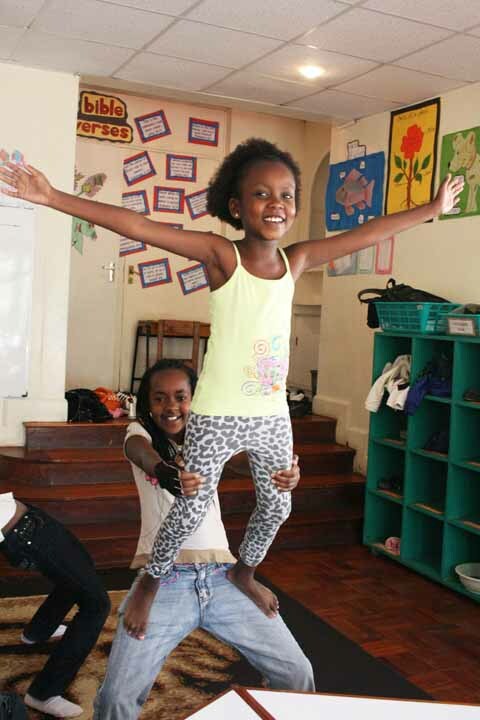 Other activities include drama and performing arts like poetry, dancing, singing and acrobatics. In the bible study class, the teacher, Cindy, picked out a passage from the bible which she discussed with the kids for proper understanding and interpretation. Thereafter, she handed them a word-search activity (based on the passage for the day) which they had to complete before the end of the one hour class. The kids are also assigned a bible verse to memorize at home. Seeing how this acrobatics class related to the bible-study one enhanced my understanding of the whole Christian foundation vision; in bible study, they are taught about the ‘cookie-crumbling’ whereby the virtue of hardwork and discipline is taught using bible verses and stories. Cindy, the bible study teacher, did pass by the class and reminded them about letting the ‘cookie crumble’ on noticing that some of them were getting distracted. Yes, these kinds of activities call for total-attention, something that is well-developed here (taking into consideration kids attention-spans). While the acrobatics class was going on, there was also a singing class led by Colloe. Colloe, who also sings in a choir, gave the kids lyrics to a new song they were learning and divided them into two groups for voice variation. They also discussed and settled-on the most ideal weekend (for all) to record some songs in the studio. The next classes were poetry class and dance class which were going on simultaneously. At the poetry class, each of the young poets performed (with words and action) one piece each. Their teacher, Sarah, would then correct them and direct them on how to enhance each of their performances. They also had a piece they plan on performing together (like a choral-verse). For those who prefer dance to poetry, the dance class by Dan was the place to get hyper-active. 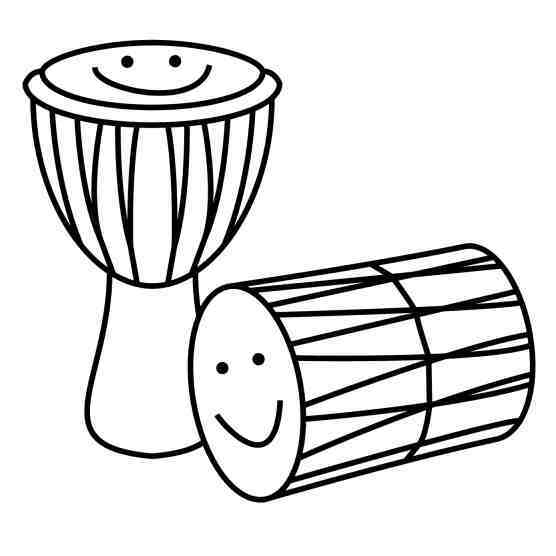 I loved watching how the kids interpreted the African dance moves. I was later informed that all of these projects lead to Sunflower Kids Club actual performances on stages/venues around the country-giving them the much needed professional stage to learn and grow. What I loved about each of these classes is that they all were very interactive, allowing the kids to give their own opinions of certain moves and words. Friendship and values of teamwork are also cultivated in clubs like these. But the over-riding idea of nurturing kids talent from a young age is what we need more of. 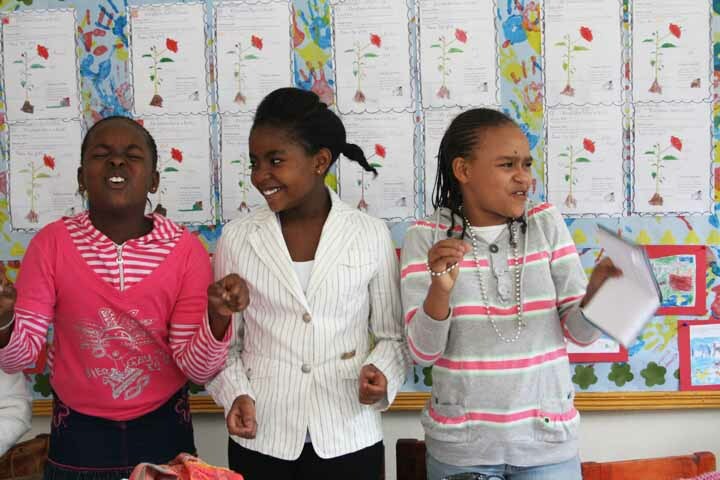 Some of the clubs’ achievements include ‘The best children’s song of the year award’ at the Groove Awards 2008, rave reviews of their musical play ‘The Sunflower, the spider and the baby’ performed at the Kenya National Theatre in April 2007. The club also has an album to its name, ‘Mwanga’ which was launched in February 2006. They have also presented the play ’The Sunflower who couldn’t find the sun’ at the Village Market in December 2004.